Please sign this petition to allow Ric to stay in Japan! Please donate to Dolphin Project! "It is ironic that they are deporting me to keep me quiet, when they themselves have brought more attention to the dolphin slaughter than ‘The Cove’ movie." "This is a desperate attempt by the Japanese Government to hide the atrocities in Taiji. My dad was being held as a political prisoner. They have run out of excuses on why the slaughter and sale of mercury-contaminated dolphin meat continues." "This is the beginning of something, not the end. The deportation is the green light to sue the government, something we have never had before." 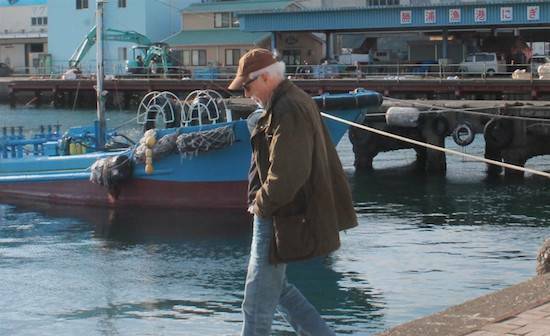 Ric O’Barry, Founder/Director of Dolphin Project and star of the Oscar winning documentary “The Cove” has been deported from Japan, where he has been incarcerated for 19 days. Immigration officials cited O’Barry’s trip to Futo on August 27, 2015 as the official reason for his deportation, claiming he did not inform them of his travel plans. On January 18, 2016, O’Barry was detained by Japanese immigration officials at Tokyo’s Narita International Airport. What started off as a “routine” questioning turned into a repeated interrogation. He was placed in a deportees’ facility, similar to a jail, where he was held for over three days. When O’Barry later refused to board a flight that would take him back to the United States, he was placed in a formal detention facility, where he has been incarcerated ever since. Last August, O’Barry, on his way to Taiji to mark the start of the 2015/16 dolphin hunting season, made a side trip to Futo in support of former dolphin hunter Izumi Ishii’s whale watching tours. Despite not having made these plans until after entering Japan, officials refused to change their findings. O’Barry’s deportation is cause for concern, especially for other activists, including Dolphin Project Cove Monitors, who are committed to exposing Taiji’s brutal drive hunts. His work methods have been 100% peaceful, yet O’Barry has been treated like a criminal. Dolphin Project’s legal team has already filed an objection. This is far from over.